I frequently get questions about what someone should start with if they are serious about diving into supplementing in regards to what program or programs they would need to be the most prepared to hit the ground running, so I have created this page to give you my best advice and guidance on choosing a package that will give you everything you need to begin maximizing your claims starting literally today. 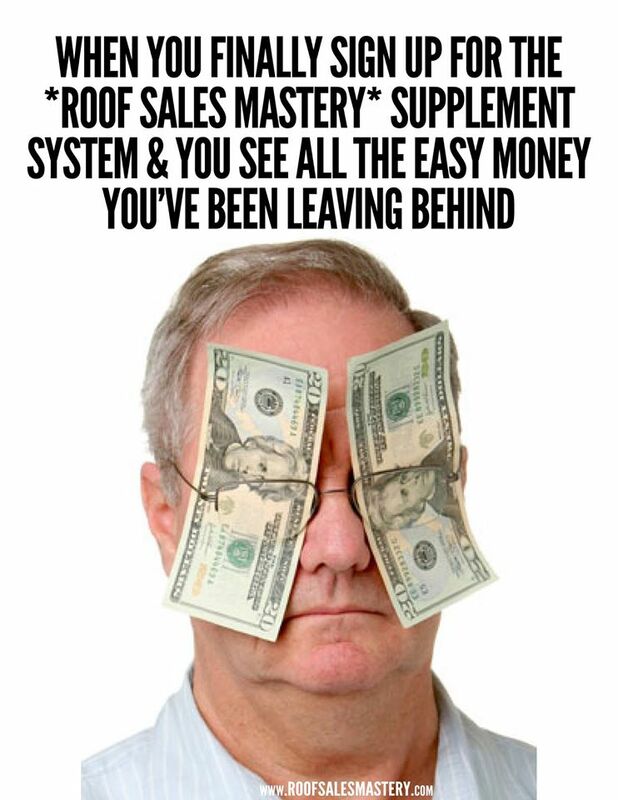 The Advanced Sales & Supplement Program will teach you how to master supplementing by following my Master List which contains over 100 creative “outside the box” Xactimate items (not your typical, basic ridge and starter, drip edge, flashings nonsense. I mean things most contractors NEVER think to ask for, like generators, harnesses, scissor lifts, etc. ), improve your adjuster negotiation techniques to effectively overcome more objections (like, “that’s included in the price / that’s a cost of doing business / it’s our policy not to pay for X”), and increase your success rate with O&P while avoiding the catch 22 “number of trades vs. complexity” game by using prewritten letter templates with homeowner involvement. 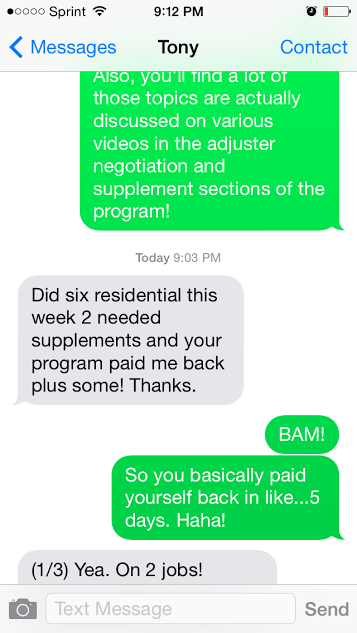 Consider this course the “art” of supplementing. I teach you my 3 step process to effectively increasing your claims, which includes 1) What to add, 2) How to ask for it, and 3) Handling adjusters’ objections. Ideally you will add Xactimate Mastery to your Advanced course to achieve learning both the “art” and the “science” of supplementing if you want to ensure you know every single angle there is when it comes to effectively maximizing your claims and negotiating with adjusters. 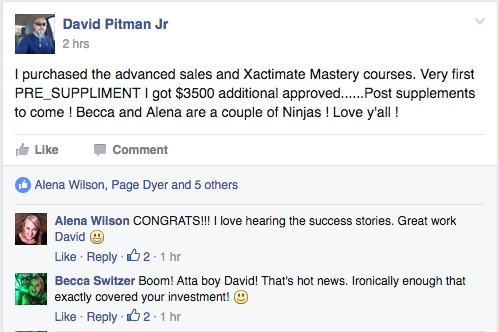 Xactimate Mastery will teach you everything from the most basic of survival skills (for those of you intimidated by technology or brand new to the software) to the most expert level functions so you are just as effective as the adjusters you are engaging with. You will learn how to use macro templates which will literally cut your estimating time in HALF so you can spend considerably less time in front of the computer (we also give you 90 prewritten macro templates that are ready to use), you will learn how to import photos and Eagleviews directly into your estimates so you are not trying to send dozens of individual email attachments through insurance carrier firewalls, and you’ll learn how to craft an overhead and profit cover letter. We also show you where to find key language and definitions to overcome adjusters’ objections when they bank on your ignorance of the software to get out of paying specific line items (example: you might ask for harnesses on your claim, and the adjuster may come back and say, “We already paid for a steep charge, and harnesses are included in that.”) What are YOU going to say? If you don’t know how to prove otherwise, you won’t overcome the objection, so we show you where to find indisputable language to use to prove what is and is not included in various line items. In addition, you have access to Alena Wilson, 1 of only 19 certified Xactimate trainers in the country who can answer all your oddball questions about estimating. Both of these courses are hosted entirely online, so you have a massive arsenal of videos, PDFs, downloads, and lessons at your fingertips 24/7/365 to go back to repeatedly as well as have access to continual updates made to the materials so you stay up to speed on any changes in the industry or software. 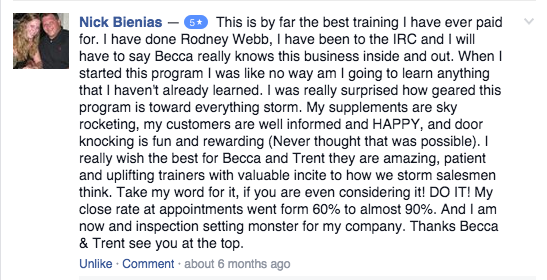 You will also be included in the private members-only forums on Facebook for Q&A, advice, discussion, and networking with Becca and Alena and the hundreds of other contractors nationwide enrolled in these programs, so you have help on any topic at any time. These platforms are far more effective than attending any live trainings or courses where you travel for 2 days, spend 2 days sitting in a hotel scrambling to take notes, and then relying on the limited information you actually wrote down or remembered to carry you through the year or to bring back to your team. It is well-organized, comprehensive, and easy to digest. I am confident these courses will deliver everything you are looking for and then some. 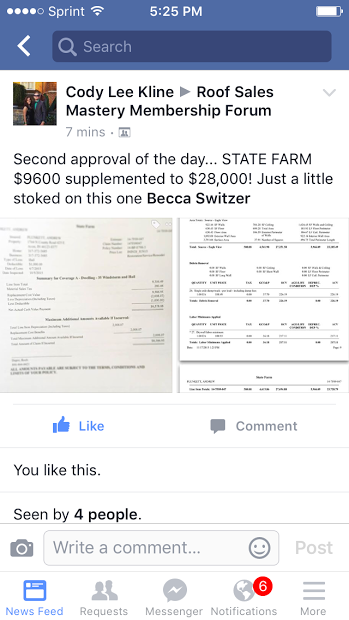 The average supplement you can expect to achieve across the board using these methods is $2500, so if you are a salesman who does 50 jobs each year, you can expect to add an additional $125,000 in sales to your year in supplements alone. If you’re a business owner who does 150 roofs, you’re adding $375,000 in pure, profitable supplements using this system. (And by the way, these numbers are pretty conservative. 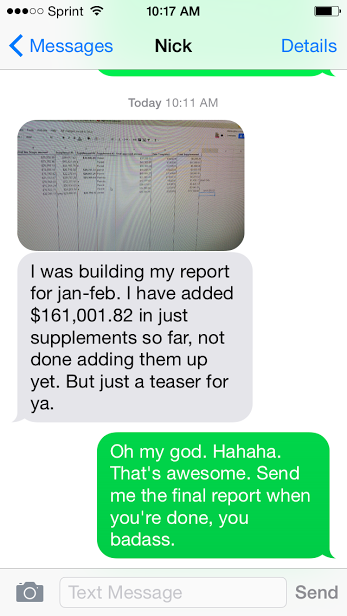 I have a member out of Minnesota whose average supplement following my system is $7100. 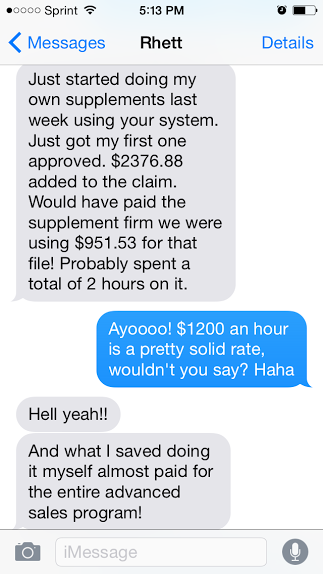 I have another member out of Denver whose average supplement is $5300). 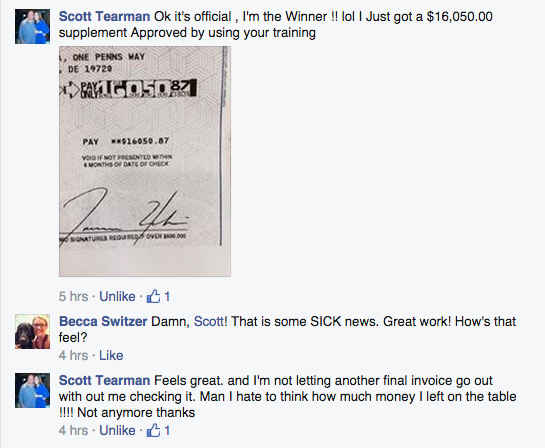 Bottom line: you will pay yourself back for your full investment with your first supplement or two using my system. 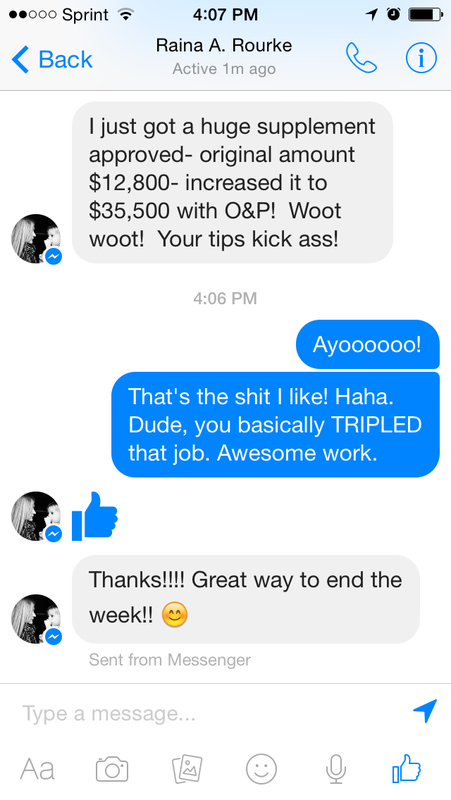 You’ve got nothing to lose and literally thousands to gain. This has been proven over and over and over again by the hundreds of other contractors nationwide implementing my systems. The only way it would not work for you is if you do not use it. 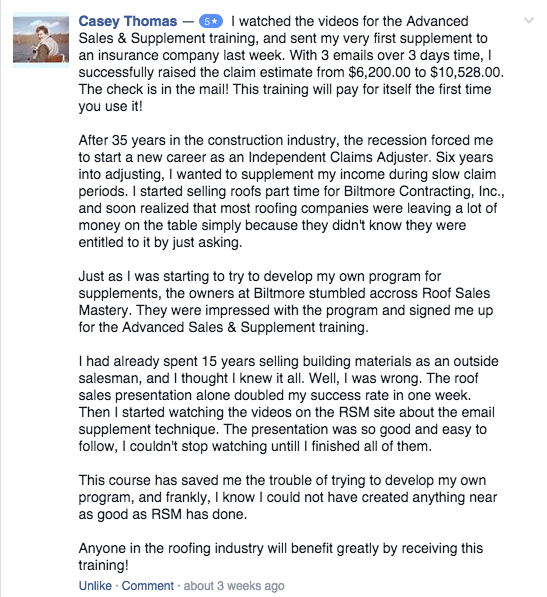 If you are ready to join the hundreds of other contractors all over the country who are enjoying the immediate benefits of using the Roof Sales Mastery supplement system, don't wait another day! 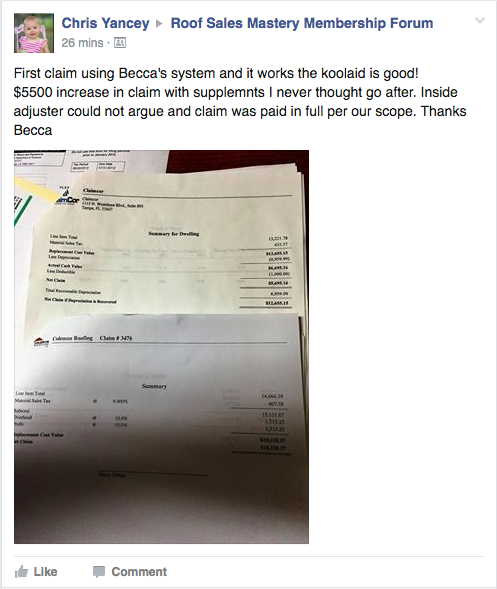 Every single claim you process without applying this information is costing you thousands of dollars in profit. That is the truth. Join us today. Click below to get started. 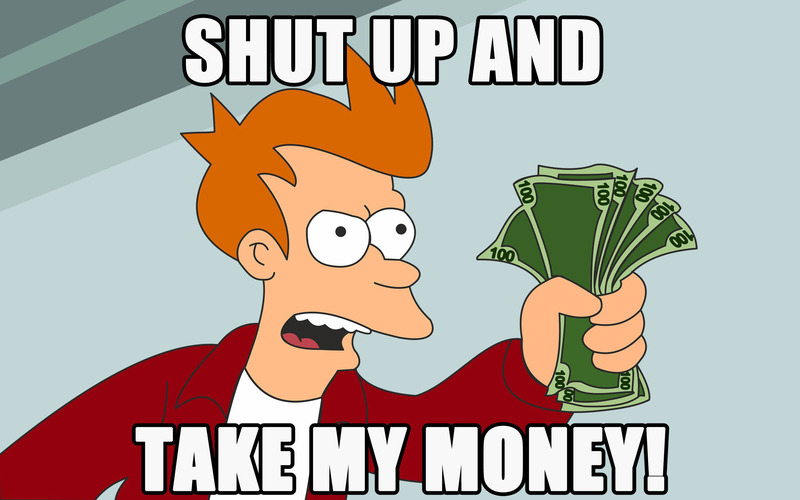 $4500 or $1579 x 3 months, then just $17/month after that. Save $500 when you bundle BOTH programs and invest in the full, comprehensive supplementing and estimating training. Best value. Click here for more detailed information about the contents of this program. Our most EFFECTIVE storm restoration sales strategies to boost your closing ratio, double your claim sizes, & increase your leads by working smarter, not harder. 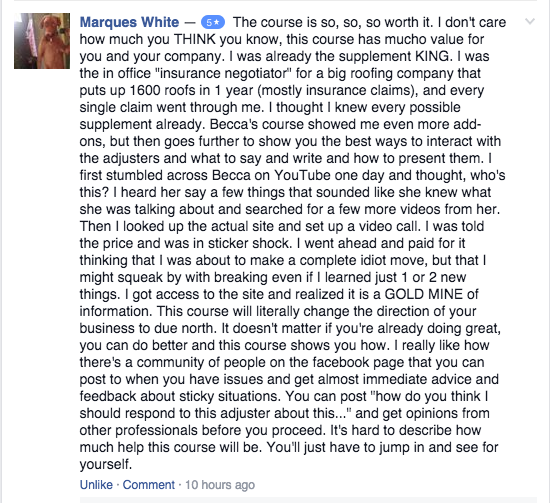 My most comprehensive storm restoration sales & supplement training is compiled into a gold mine of content in an online course where you can go at your own pace to learn my methods of maximizing job profits through creative supplementing and effective teamwork approach adjuster negotiations, prewritten letters and templates for getting O&P WITHOUT playing the catch 22 "number of trades vs. complexity" game, and my famous Master List of 100 creative, out of the box Xactimate items that will increase your average job size by $2,500 TODAY, starting with the claims you already have in your pipeline RIGHT now. I share my most EFFECTIVE lead generation and door knocking pitches and techniques including dozens of word-for-word door knocking approaches that are guaranteed to increase your success at the door so you can knock LESS, and exactly what to say to handle objections such as, "I already have a roofer / my husband already looked at it / will you eat my deductible?" and more. I give you the word-for-word sales presentation script that I use to sign deals on the spot with very few objections (the average closing ratio using this script is 70-80%, up to 90% with the most experienced reps), strategies for getting explosive referral business using 4 word-for-word approaches that result in names on the spot, the blueprint to personally selling a million dollars in restoration sales annually as a salesperson, and much, much more. Storm restoration is a 7 figure business, meaning even the tiniest weaknesses in your sales game causes you to leave thousands of dollars in sales and income behind every year. Likewise, the smallest adjustments and improvements in a key area can ADD thousands! Consider this: let’s say you’re a salesman turning in 60 deals / about $600,000 a year, earning roughly $90,000. You’ve got a 65% “kitchen table” closing ratio, and you’re knocking about 10 doors to line up 1 inspection. That means to get those 60 deals each year, you’re sitting in front of and presenting to 100 homeowners. To get in appointments with those 100 homeowners, you’re knocking about 1,000 doors over the course of the year. What if you learned a just 1 or 2 SIMPLE tweaks to make to your lead generation approach or close that increased your results in those areas by just 5-10%? Let’s say you improve your door knocking approach and increase your success at the door by just ONE PERCENT, so now you’re only knocking 9 doors to line up 1 appointment. Now you’re lining up 110 inspections for the year (without knocking any additional doors than usual). 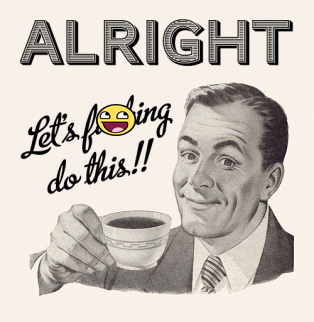 Now let’s say you learn our word-for-word sales presentation and increase your closing percentage by 10%. Now you’re closing 83 deals, selling $830,000 (+ $230K! ), and earning $125,000 (+ $35K). …..WITHOUT working any harder than you normally are. Let’s pour gravy all over this and say that in addition to those 2 VERY simple, manageable improvements in your canvassing and closing, you also learn some new supplement tricks and add, say, just $500 to your average claim size. 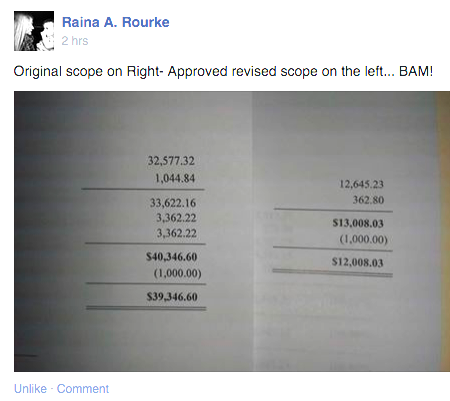 Now you’re putting down $871,500 for the year, and earning $131,000. That’s our mission – to teach you our absolute best, most effective strategies and sales techniques so you can get more results for the energy you’re putting in to earn a high level of income and enjoy the type of freedom and lifestyle you want. 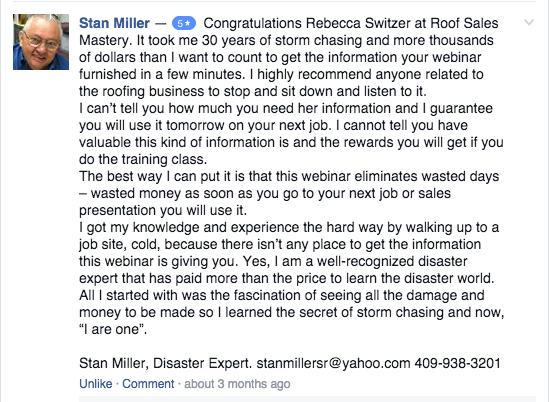 The limited options for programs and seminars that are available out there now talk about the general philosophies and theoretical concepts of storm restoration success, but they do not give you the exact, actionable how-to’s or proven “take home” systems to follow. They don’t arm you with tactical instructions or the step-by-step systems or scripts so you can start using them right away to improve your results. You leave feeling motivated for a day or two, but ultimately empty-handed with no new skills or “take homes” to speak of. That’s where we differ. Our programs are jam-packed with nothing but SOLID, immediately USABLE content. We’re delivering the “golden nuggets” that you really want; the gritty, content-rich material you can actually USE. We’re going to lift up our skirt and show you exactly what we’re doing and how we’re doing it so you can “ethically steal” our systems and use them to get great results. Our attitude: There are plenty of roofs out there for everyone. 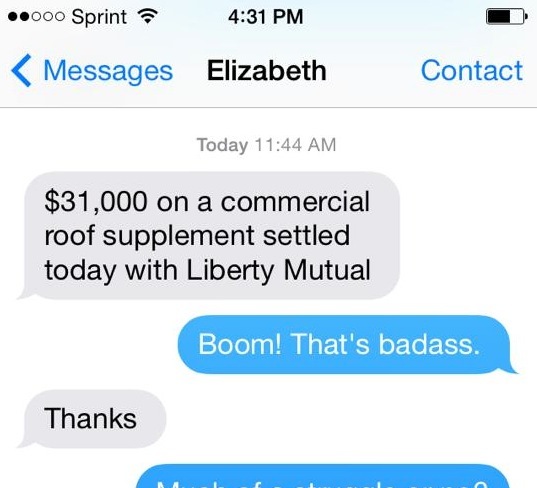 Our program isn’t for everyone, because everyone is at a different level in their business right now, but we’re not trying to teach people how to personally sell 14 million dollars in roofs this year. We’re aiming to give the typical hardworking, hustling storm restoration contractor some proven systems to use to produce a 7 figure sales figure, 2x-3x their annual revenue, and consistently earn a fat six-figure income by working smarter, not harder, through maximizing claim sizes, increasing your closing percentage, and boosting your lead generation with simple, proven strategies. Here’s what we can absolutely guarantee you about the methods and systems in this program: they work. They yield consistent results. We use them ourselves and that’s how we know they will work for you. 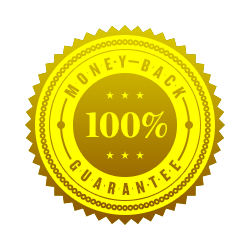 Here’s what we cannot guarantee: we cannot guarantee that you will go out and use them to get you said results. Just like, hiring a personal trainer to improve your fitness is a great investment, but he can’t lift the weights for you! If you don’t put in the work and implement, you won’t get results. 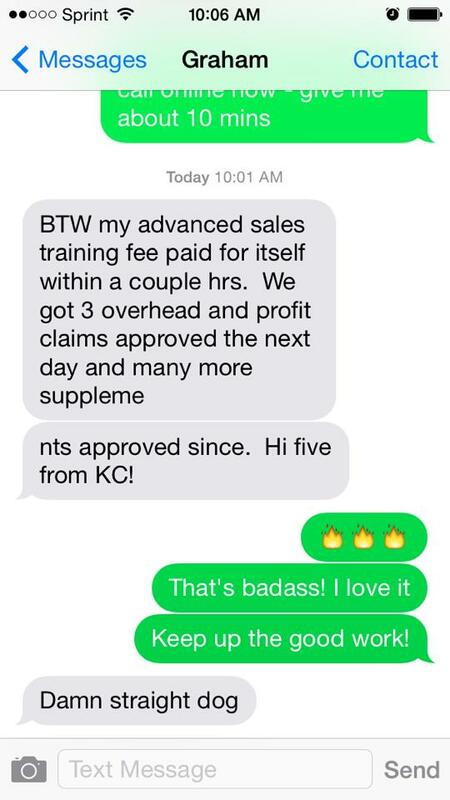 We are so confident that you’ll get massive value out of the material in the Advanced Sales & Supplement Program that in the highly unlikely event you honestly apply the strategies we share in the program and don’t make your investment back in 30 days, we stand behind our brass balls guarantee. We want to invite you to join us in creating your most successful year ever by sharing with you our best secrets and strategies in this business so you can make a few small tweaks in 1 or 2 key areas and transform your current results. Don’t wait – you’ve got nothing to lose, and everything to gain, and your timing couldn’t be better. Let’s crush it this year, together. As salespeople ourselves, we're used to that. Remember, we work in the same industry as you do. What's your main concern? Great question. While we cannot 100% guarantee your specific results, we know two things for sure: 1) Sales is all about relationship building and stellar communication skills, not physical strength or brawn. It’s saying the right things at the right time to communicate effectively with potential customers, and anyone can do that with the right approaches. On the other hand, moving a 2 ton vehicle with your bare hands is not something that just anyone can learn to do. 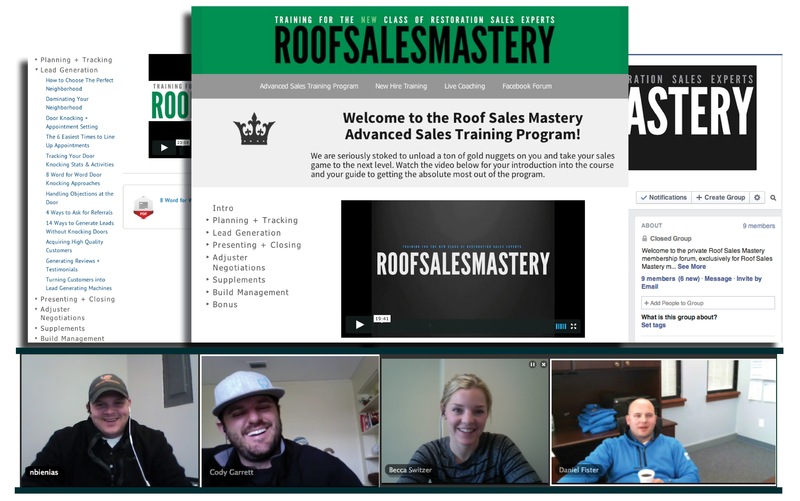 2) We have taught all of our own salespeople in our roofing company the same material we’re teaching you, and it has worked for them, so we’re confident if you apply yourself, it will work for you. That’s an easy one. “One job.” If (and really we should say “when”) the stuff we teach you gets you just 1 additional job this entire year that you wouldn’t have gotten without it, the program has already paid for itself. Plus, we stand by our money back guarantee in the incredibly unlikely event that at the end of the year, you feel you haven’t made your investment back. Cool. We’re not going anywhere. Just keep in mind this one simple fact: if what you’ve been doing for the last x years hasn’t gotten you to where you want to be with your sales and income at this point, what are the odds that it’s going to get you there this year? Nothing changes if nothing changes, and the definition of insanity is doing the same thing over and over, expecting different results. Don’t be afraid to invest in yourself, and right now is the lowest price the program will ever be. The return on investment will far surpass the initial investment made, and we’re committed to getting you results. The sooner you do something different, the sooner your results can change and improve.